RingCentral, a cloud computing based phone systems provider, has just released their latest promotions and coupons for the month of March 2013, for RingCentral USA and Canada. In addition to the coupons, the company has also introduced new set of features and improvement to their services. See them below. The coupons or promotions indicated below are for RingCentral USA only. If you are from Canada scroll down below. 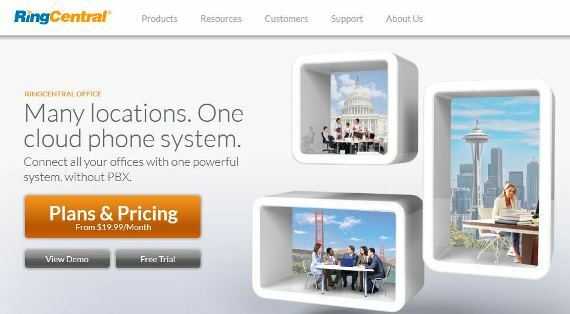 USA RingCentral Office – Buy One Plantronics Headset, Get the Second One FREE! Aside from the coupons/promotions mentioned above, RingCentral also introduces brand new features and improvement for their product lineup. See them below. Business SMS (A RingCentral Exclusive!) – Send professional text messages to colleagues, clients, and departments from your business number. Use your one business number for voice, fax and text messages. Send and receive 160-character messages to and from RingCentral extensions or 10-digit local numbers. The RingCentral app for iPhone and iPad works with iOS 4 and higher. The RingCentral app for Android smartphones is available for versions 2.3 and higher. Text seamlessly across devices, including smartphones, tablets and PCs. RingCentral App for Salesforce.com – Seamless integration between your RingCentral phone system and Salesforce CRM. With simple click-to-dial from within Salesforce, you can spend more time selling or servicing customers and less time dialing. Save time by eliminating misdials. Work multiple call records in separate browser tabs. Easily collaborate within Salesforce using call records and RingCentral Softphone call management. Incoming callers are instantly matched to existing contact records which are automatically displayed. Take notes while on call – saved automatically. Automatic Call Recording – Easily enable automatic recordings for your inbound and outbound calls. With a few simple clicks, admins can enable automatic recordings for one or multiple users. Quickly select recordings for incoming and/or outgoing calls. Recorded calls are saved in call logs and can be played back anytime. Download individual or multiple recordings for review and playback. Use default or custom announcements for inbound calls. Emails are automatically sent to users enabled for automatic recordings. Turn off automatic recordings at your convenience. On-Demand Call Recording is also available so you can record individual calls from any device, anytime. Conferencing – Unlimited conference calling anytime, from anywhere, with your own conference bridge. A single conference bridge for easy access and use. Each user gets their own host and participant access code so you and your team can hold conferences whenever you want. Every user can host a conference, with up to 1000 attendees. Main conference number is available in US. In-country dial-in number is available for use in over 30 countries. Use your IP desk phone while in office. Use your softphone or mobile phone (iPhone or Android) while on the go. Invite lets you send email invitations to participants with just one click. As a host, you can mute participants, get caller count, record conferences, and much more. Intel Core i7-3930K and i7-3960X LGA 2011 Six-Core Processors now available!